Feel helpless with those interrupted apps on your iPhone? Here's how you can clean up your iPhone, iPad interrupted apps Easily. 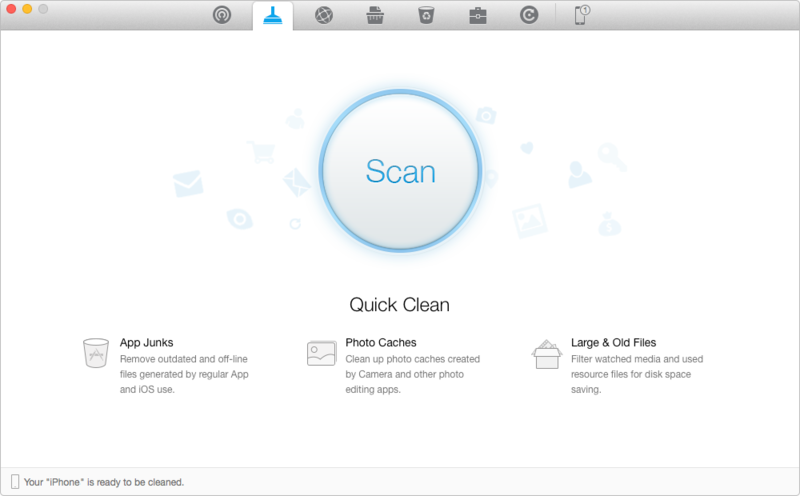 Download PhoneClean and try it out while you're following this tip on how to clean up interrupted iPhone, iPad apps. Let PhoneClean help you out. Have you ever encountered such a problem that when you're downloading or updating apps on your iPhone, the download process is forced to be aborted due to the low battery? It's a pity that battery drain has always been one of the iPhone users' biggest bugbears. Especially since the Apple's iOS 7.1 came out last month, an increasing number of iPhone users have complained about the poor battery life. A lot of more problems can be caused by iPhone battery drain, among which the interrupted app is a matter of great concern to you. As the redundant crash logs, associated pictures, videos, audios and other temp files for interrupted apps generated by iOS will eat much storage space on your iPhone, you need to clean up these unwanted junk files. Have no idea about it? No worry about the interrupted apps any more. Here I'll walk you through a step-by-step guide on how to clean up the interrupted apps on iPhone, iPad. - Clean redundant cache files, hidden temp, cookies and other kind of junk files to free up a lot of extra storage space on iPhone, iPad. - Wipe up all useless app crash log and system notifications occupying much device memory. - Clear all kinds of private data, such as SMS, iMessages, MMS, along with the associated pictures, audios and videos. What PhoneClean could do for you is far more than cleaning up the interrupted apps on your iPhone, iPad. For example, to help organize your iPhone apps better. Why not check it out by yourself now? If you think this guide is helpful, hope you can share it with your friends. Let PhoneClean help more people out of trouble and enjoy more in their iPhone life.